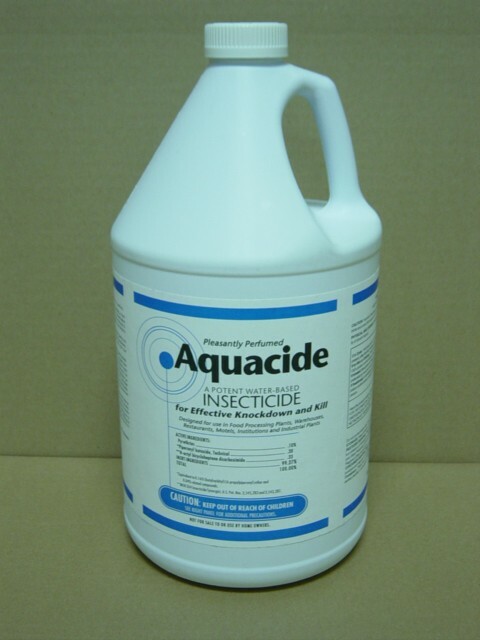 PRODUCT DESCRIPTION: AQUACIDE: is a water-based natural pyrethrin insecticide which is effective against both flying and crawling insects. This product is ideal for use in food processing plants, warehouses, restaurants, motels, institutions and industrial plants. Best of all, the pleasant floral aroma leaves no strong odors or staining like that of similar marketed products. 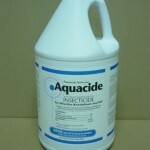 It's ready to spray and can be applied in traditional pump sprayers or fogged with any misting or fogging machine. Great for mosquitoes, gnats, midges, flies, noseeums, etc.